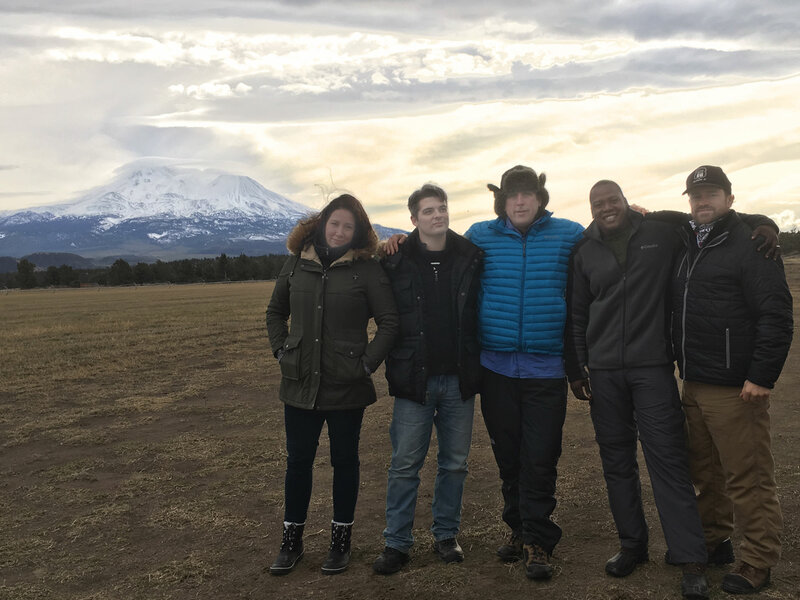 Greg Newkirk and Dana Matthews Join ‘Finding Bigfoot’ for 2-Hour Season Premiere! For the last few years, we’ve been convinced that Bigfoot is a ghost. We realize how it sounds, but trust us, there’s a compelling case for the supernatural squatch. His tracks always lead to nowhere, his photos are always blurry, and he has a weird habit of simply disappearing – sometimes in a flash of light. Oh yeah, and there’s that whole thing about never finding a body. Well, now we’ve been given the opportunity to state our paranormal opinion to the pros.. when we join the cast of FINDING BIGFOOT for the 2-Hour season premiere on March 31! The “Supernatural Bigfoot Group” is comprised of Planet Weird’s Greg Newkirk and Dana Matthews, along with our pals Reggie Byrd, a Washington-based squatcher, and RPG, an enigmatic animal communicator and unwavering ray of positive energy. Together, we set out to track down some of Northern California’s strangest Sasquatch cases – ones other Bigfoot investigators just won’t touch. The result is… well… pretty weird, to be honest. We don’t want to spoil anything, so just tune in and see for yourself. We’ll be live-tweeting from the viewing party at Weird HQ, so make sure you follow @nuekerk and @weird_dana on Twitter to join in while we share behind-the-scenes photos, discuss the evidence, and dive into some of the very, very strange things that happened on our quest to track down a Supernatural Sasquatch. We’ll see you on Animal Planet, March 31! I am so friggin pumped to see you two get your squatch on.